TPMS is an electronic system designed to monitor the air pressure inside the pneumatic tyres on various types of vehicles. 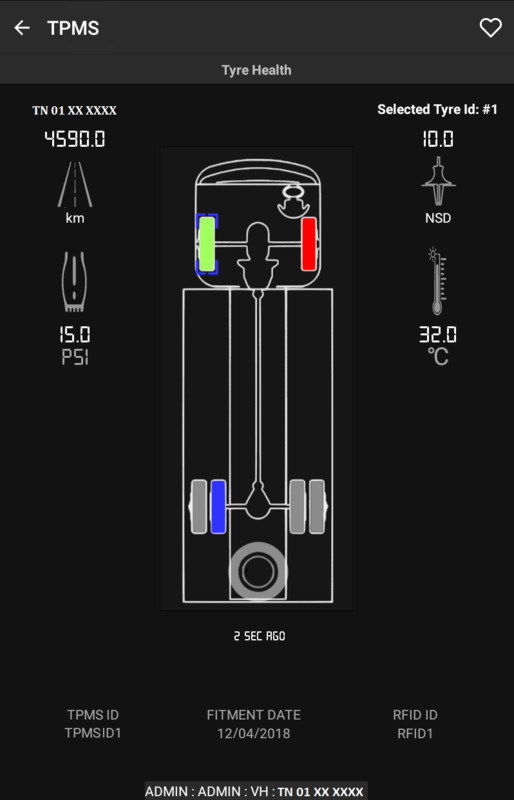 TPMS provides real-time tyre-pressure information (and optionally, temperature) to the driver of the vehicle, either via a gauge, a graphic display, a simple low-pressure light or even a Smartphone Application. The purpose of the tyre pressure monitoring system (TPMS) in your vehicle is to warn you that at least one or more tyres are significantly under-inflated, possibly creating unsafe driving conditions. It also helps prolong the life of the tyre. Proper tyre maintenance with the aid of a TPMS helps prevent many serious accidents. Many manufacturers have already started incorporating some type of TPMS in recent years. In the US (and many parts of Europe), it has become mandatory. The US government passed the Transportation Recall Enhancement, Accountability, and Documentation (TREAD) Act. One of the outcomes of this legislation is that most vehicles sold in the United States since 2007 include a tyre pressure monitoring system of some kind. 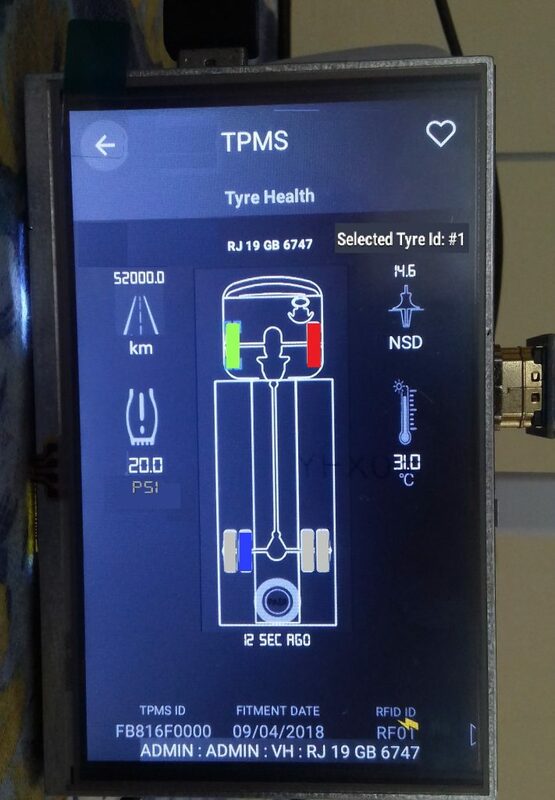 We have developed “TPMS” Android App for one of the leading tyre companies, incorporating the latest Bluetooth Low Energy (BLE) communication for receiving the tyre pressure and temperature information from each of the tyre mounted sensors in the vehicle. While fitting the TPMS devices in the tyre, RFID readers are used to identify the unique tyre ids. Proof of concept prototype of a dashboard mounting display module(DDM) which has the same functionality as the App, i.e., display the health/status of each of the tyres in a vehicle was also developed, using state of the art Linux based controller module and touch screen display. This would enable drivers/users of the vehicle to get continuous updates from the device about the status of the tyres fitted with the TPMS sensors in their vehicle. * Green – Tyre has been configured with TPMS device and in good condition. * Red – Tyre has been configured with TPMS device and in danger condition. 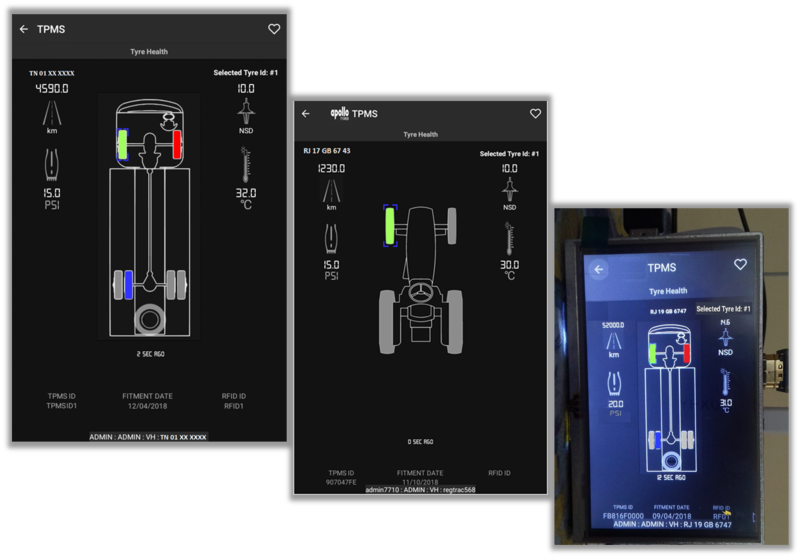 * Blue – Tyre has been configured but the TPMS device is not active. * Grey – Tyre has not been configured yet.